A Place For Us, is Fatima Farheen Mirza’s beautiful debut novel and also Sarah Jessica Parker’s debut imprint for Hogarth. Having finished this book last week, I am still left thinking about the characters. Since this story revolves around a family, it portrays relationships, love, betrayal, hardship and compassion. You can’t help but resonate with the feelings that this book imparts! The opening chapter begins when Amar arrives at his sister Hadia’s wedding in California. He has been estranged for the last 3 years, and everyone is apprehensive of his arrival. Hadia is now a doctor by profession and the eldest daughter of Rafiq and Layla and sister to Huda and Amar. The story of this Indian – American family spans several decades and takes us back to moments when Rafiq and Layla first moved to the United States; to incidents of sibling bonding and rivalry; we witness decisions that will have lasting repercussions and tests of family faith, honesty and compassion. At the heart of the story is Amar. His struggles, relationships, and questions with faith and family belonging. We see Amar fall in love for the first time, and endure heart break. We observe how his relationship with his father Rafiq develops over time. I thought Fatima Farheen Mirza wrote this story beautifully! The characters are extremely well developed and you find yourself engrossed in this family and worry over their struggles and share in their happiness. This is also one of the first stories I have read that describes the shia muslim faith and it’s rituals and traditions. The best part of the book, was perhaps how it was wrapped up in the final narrative. It answered the lingering questions, and pulled the whole story together! As much as I wanted to finish this quickly, I savored every word in this final section. As a debut novel, there is no doubt that Fatima Farheen Mirza is an extremely talented and skillful writer! Fatima Farheen Mirza was born in California in 1991 and raised there. Her parents are of Indian descent; her mother grew up in Birmingham, her father in Hyderabad. She is a graduate of the Iowa Writers’ Workshop, where she was a Teaching-Writing Fellow. ‘A Place For Us’ is her first novel. I would definitely recommend picking this up as your next read! 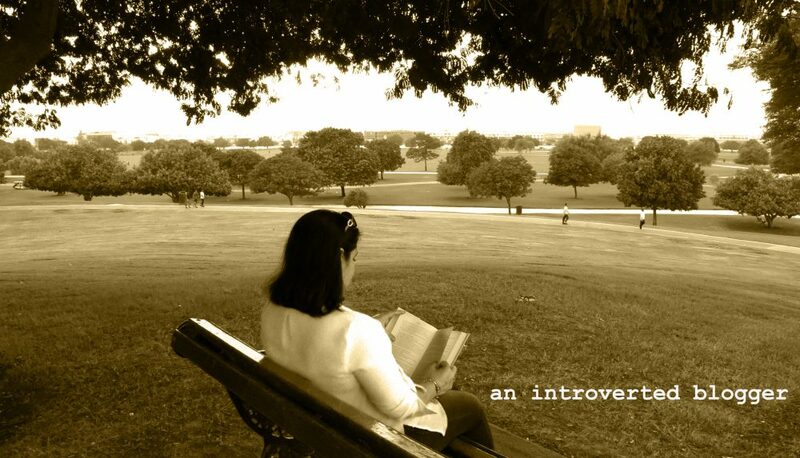 This entry was posted in Book Reviews and tagged a place for us, book, book blogger, book review, bookstagram, contemporary fiction, family, Fatima Farheen Mirza, Hogarth, indian american family, SJP by An Introverted blogger. Bookmark the permalink. Excellent review. I’ve heard a lot of buzz about this one but haven’t read it yet. Thanks for your thoughts on it – I shouldn’t wait too long! I need to read this one, beautiful review! This looks like a great book to curl up with on the couch. Looks like a great read. Never heard of it before today. I loved that the book was well rounded. Oooh this looks interesting. Is this available at B&N? Yes. It’s available there and Amazon as well. Ahhh yes I got a notification on Goodreads that this is the first novel published under Sarah Jessica Parker’s literary imprint. I look forward to reading Fatima Farheen Mirza’s debut novel, A Place For Us. And great review as always! =D. Yes it is! She has been promoting it as well, and I’ve heard some book talks on Instagram as well. It is definitely worth a read. I was pretty impressed for a debut novel.